If you would like to order books or exam vouchers in large quantities, please drop us a message. 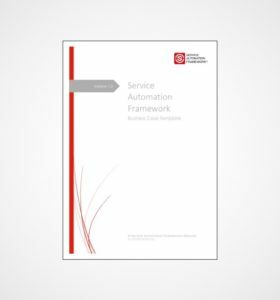 This white paper provides a high level overview of the Service Automation Framework, which was launched in 2017. 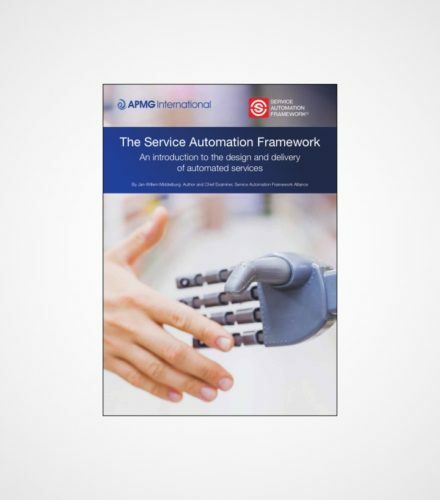 The aim of this paper is to explain the key business drivers behind service automation and to provide an overview of the structure of the framework. 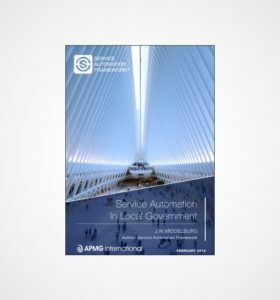 Service Automation – the concept of delivering services through smart technology – is a rapidly growing area of interest for most organizations. Companies such as Spotify, Netflix and Uber (who deliver 100% automated services) have proven that organizations can achieve rapid growth and gain a competitive advantage by relying on Service Automation. The core objective of service automation is to transition analog (or manual) steps of the service delivery process into automated steps. By making this transition, service providers are able to deliver their services instantly, cost-effectively and to a potentially bigger market. Taking the steps towards the delivery of automated services is however not straightforward. Many organizations struggle with the question of where to start or which services to automate. The Service Automation Framework was developed to provide an answer to this question.